It is a wonder to me that, not only do I have a shred of confidence, I have a goodly amount of it (on most days). Because, aside from my Mom, I was the only girl among a pack of teasing, pestering men. I sit in a particularly sweet spot in the family line-up, the baby of the family, not to mention the long-awaited, unexpected daughter following three sons right in a row. But if you envy me for that, I’ll pinch you, as I have had to pay for all the advantages that came with being the baby girl, namely a whole lotta disrespect. If anyone was in the mood to be a pest, I was the easiest and most reactive target. For instance, my Mom often recalls sending me out the door with my Dad and brothers one day for a fishing trip. The five of us loaded up all of our stuff into the truck, piled in and had disappeared from view when she noticed the pick-up was reversing back up our long driveway. It screeched to a halt at the sidewalk, the passenger door opened, and out I dropped, deposited into the front yard like a package from UPS. My Dad grinned and waved, and off they drove back down the driveway, sans Bossy-Britches. Apparently, I was telling “the boys” where we were going to go and what we were going to do and how we were going to do it before we had even made it down the driveway…and they just weren’t having it that day. I was banished that quickly from the fishing trip. And aside from the bossiness, I was also probably rather dramatic as a child…or at least I tried to be. Not that they gave the tiniest amount of respect to my theatrics. I remember growing so frustrated that when I cried, no one listened, but instead, the entire room (except for my sweet mother) would begin to howl like coyotes. I would cry louder over their noise and they would howl louder. Insufferable. 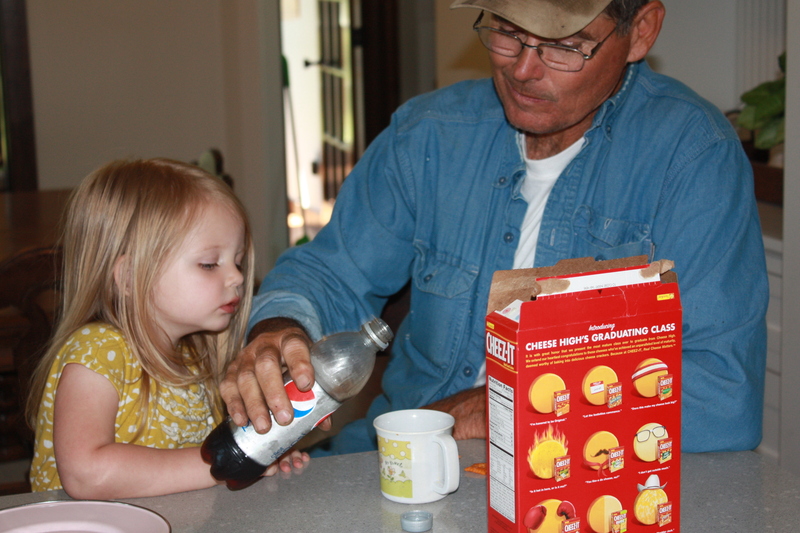 My Dad also liked to call me “little feller” (something he still does to little girls) to get me riled up, and then my personal favorite, he nicknamed me “Chunker” in middle school (when I was actually quite slender). He still calls me by that lovely name and tries to pinch at my love handles almost every time I see him. Which is almost every day. And while we’re on the subject of why I should have zero confidence, I will also never ever forget the time when my brother, Pete, informed me that he had been driving in the car with one of his friends when he saw a billboard for Laser Hair Removal. He promptly called the number and, when the receptionist answered, he said “Yeah, how much would it cost for you guys to get rid of my sister’s mustache?” all while his friend rolled in the passenger seat. I could have killed him on the spot, although his inquiry may or may not have resulted in my first medical procedure. But do you see what I mean now? About the self-confidence thing? Its a miracle. 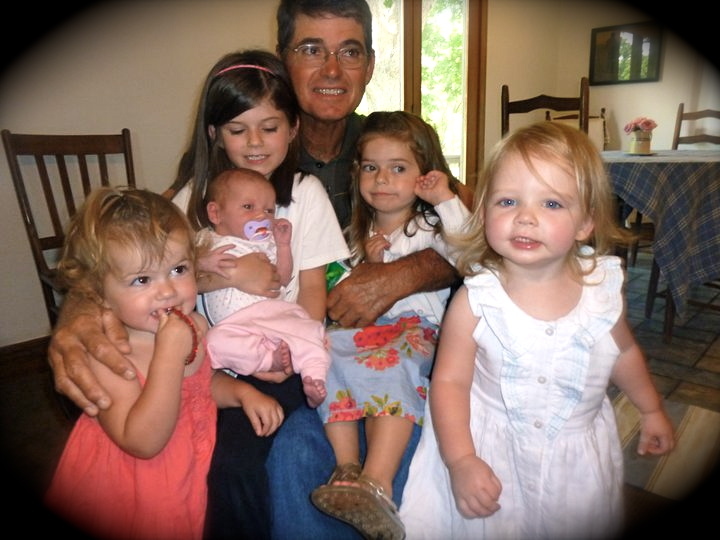 And so I just think it is too hilarious that my Dad now has FIVE granddaughters, each one of them bossy-in-their-own-way and sensitive and chock full of personality. He has a fine line to walk to keep this houseful of tenderness from uprising on him, and there are dolls and flowers and shoes and barrettes and girlishness all over the place when we go for a visit. Confident like I’ve never seen. My Dad has met his match. She is like me all over again, but has the gumption to hang in there. I doubt she would ever have been kicked out of the pick-up truck. this one cracks me up. I could read it everyday. We’ve recently had issues with Rebekah scratching Gideon when she gets mad at him – she’s a true wildcat! Again, I never had that kind of gumption. come see us and we’ll marvel over her amazingness TOGETHER! !